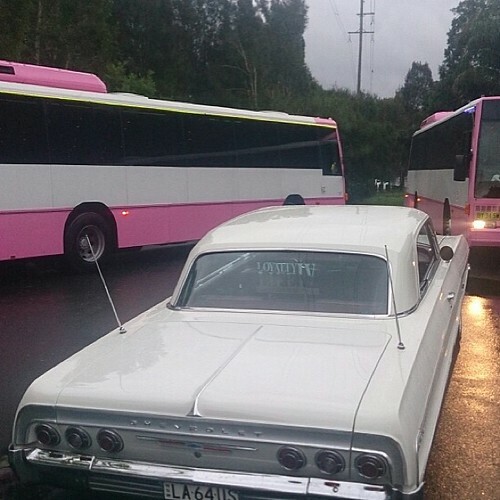 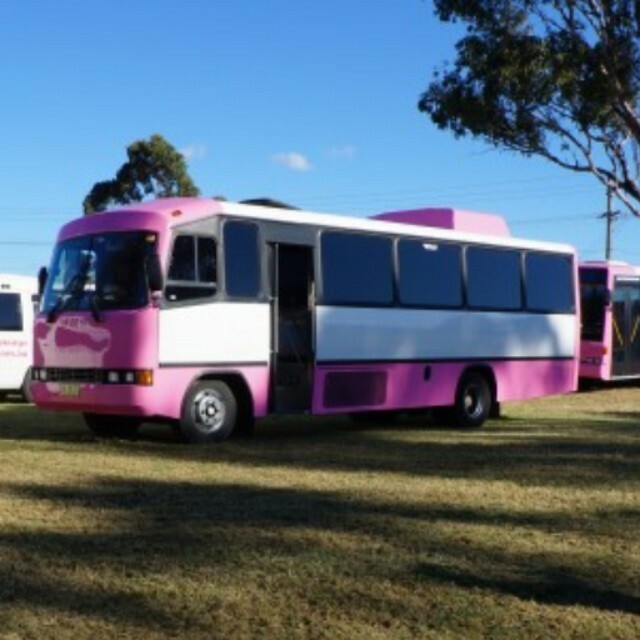 Taken a photo with our pink party bus? 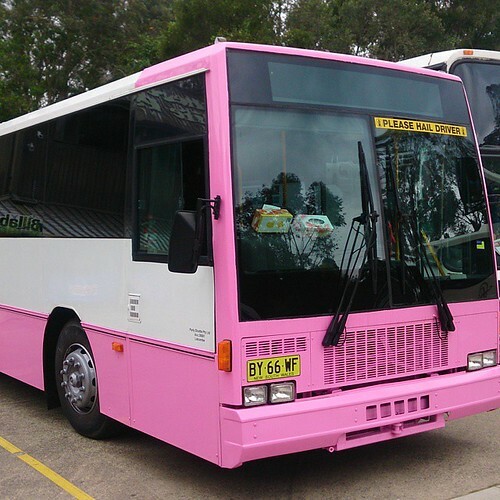 Share it on your timeline or our page with #PinkPartyBus to enter our photo contest for your chance to win $100 Party Shuttle voucher. Savannah 18th birthday from Kogarah Party Shuttle on! 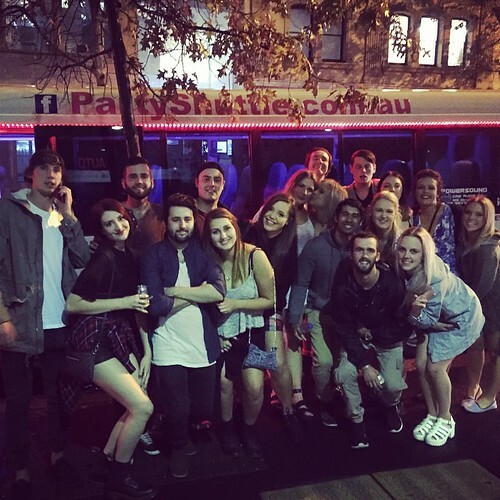 Elyse's birthday, Party Shuttle On! 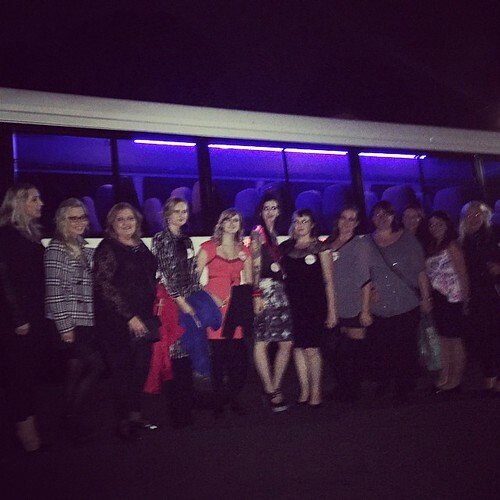 Stephanie's Hens from Milperra Party Shuttle on girls! 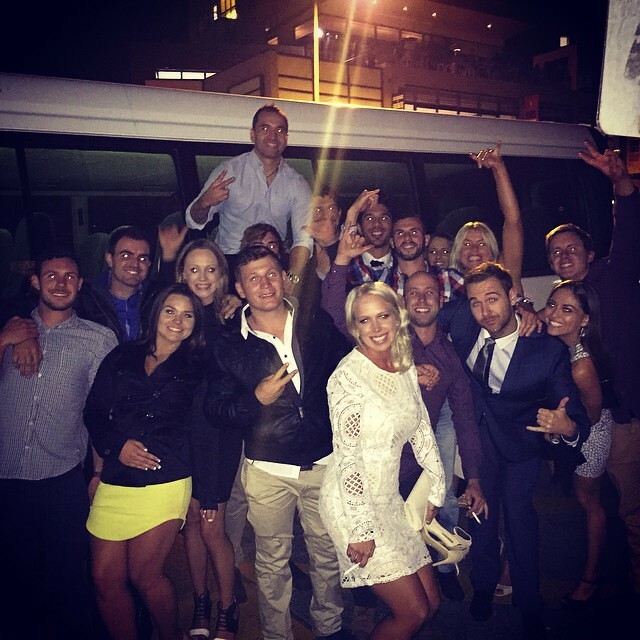 Jason and Marley's engagement from Narrabeen Party Shuttle on! What a hot day! Our 32 seater getting some shade to cool off. You can cool off in our air conditioned party buses. 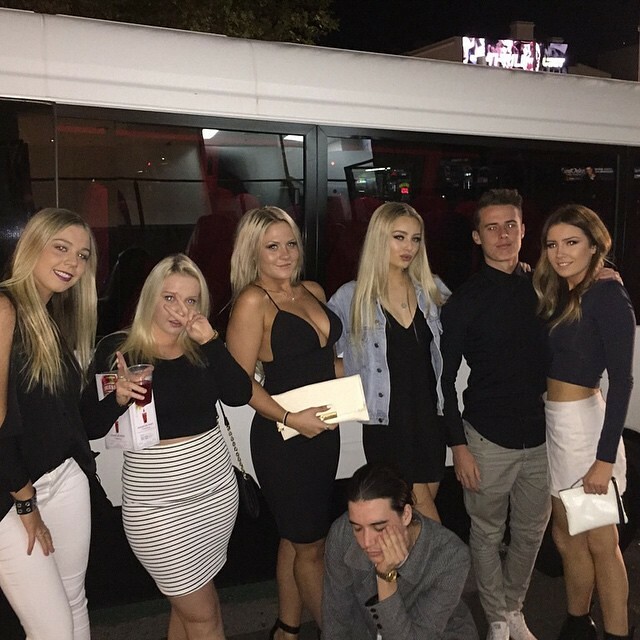 Feel like a beach party now? 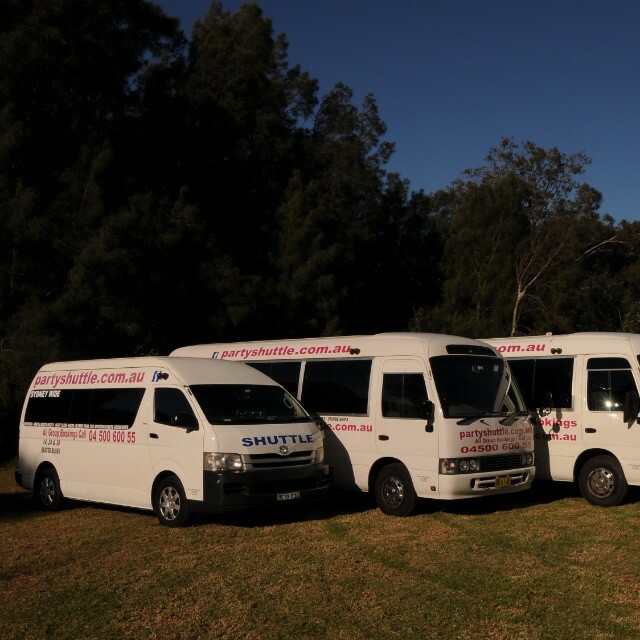 Escape the heat in our air conditioned party shuttle buses. 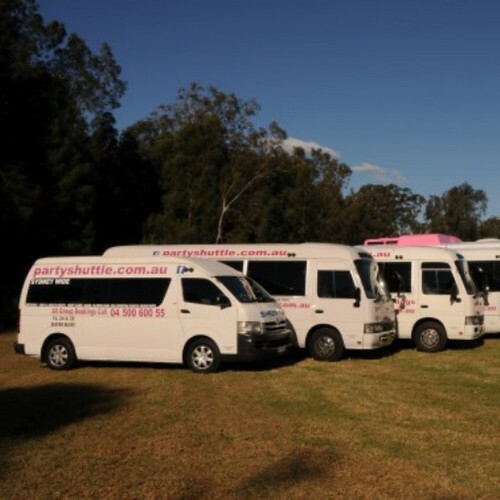 Escape the heat in our air conditioned party buses. 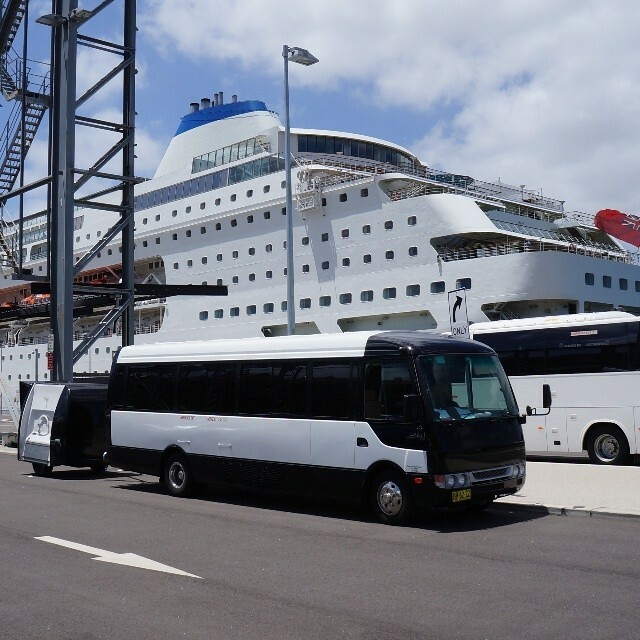 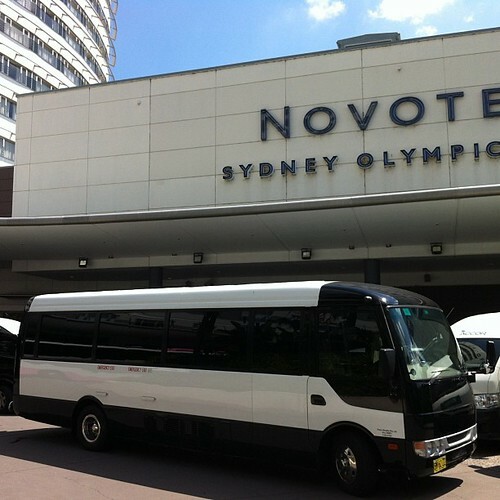 Our Corporate Hire Bus chauffeuring a group to their cruise. 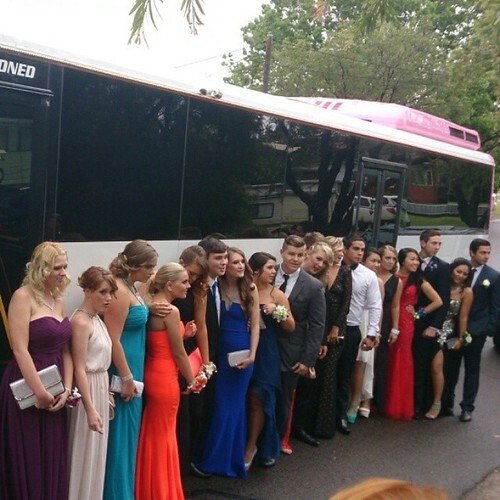 All dressed up and looking spectacular for Panania school formal today. Enjoy! 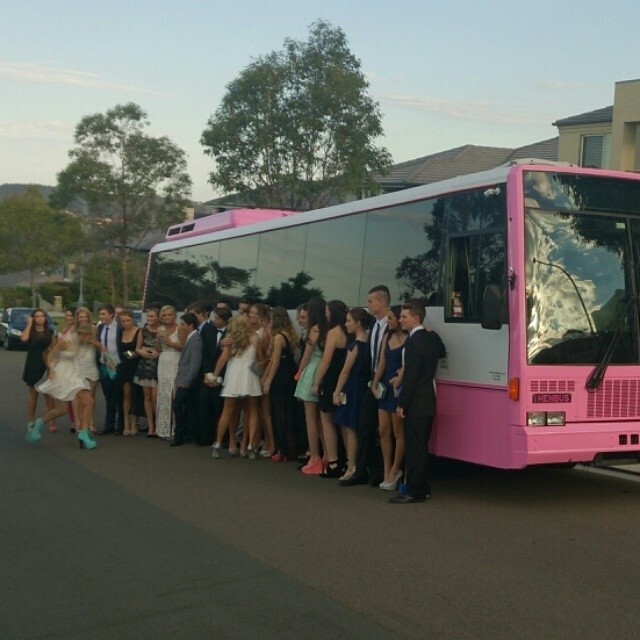 Ready for school formal on Belrose.